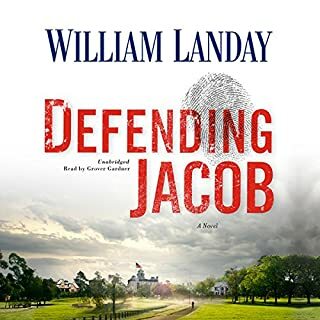 SPOILER ALERT: I enjoyed listening to Defending Jacob, but with the caveat that the main characters, especially the father, became more and more unbelievable as the novel unfolded. Grover Gardner is a wonderful reader, and he makes this book sound better than it really is. 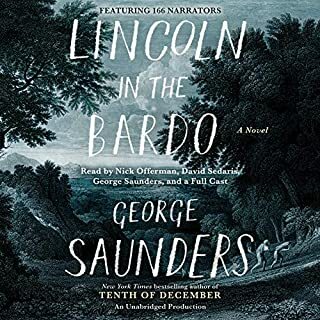 I can't imagine a better way to convey George Saunders' afterlife world than Audible managed with this effort. All who participated, from celebrity to family friend, did their bit convincingly and with just the right humor, pathos and deep sadness the story demanded. My only criticism of Lincoln in the Bardo is that Lincoln himself was lost in the crowd, so to speak. Characters spoke about him, got inside him, heard his thoughts, and shared his grief over the loss of his son. But I wanted to hear directly from the man, the American icon. That wasn't possible given the book's imaginative premise yet it left me feeling somewhat unsatisfied. 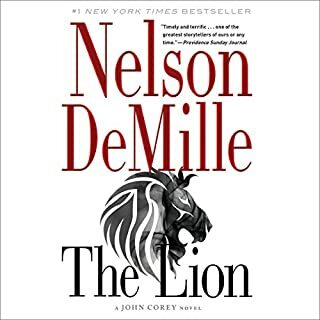 Kudos to Audible for making this treat available. I eagerly anticipated Rogue Heroes, but ended up being largely disappointed. Why? Because nothing much happened in the narrative, which was filled with colorful characters who, at the end of the day, played an exceptionally minor role in World War II. Most of the book was as dry and boring as the Sahara desert where much of the "action" took place. Lots of mentions of points on maps and meters between this waddy and that oasis. 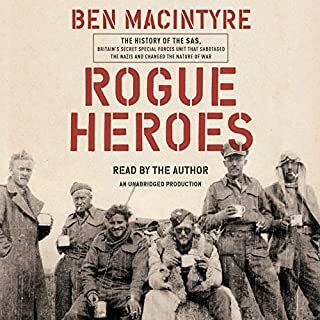 The second flaw was the decision to use the author, Ben Macintyre, to read Rogue Heroes. Please avoid doing that; Macintyre is a skilled writer (when he has sufficient material) but he is an untrained reader. It's not a matter of errors, etc., but one of inflection and emphasis. He gave me no reason to hang on every word, which is what a top-rate reader is able to pull off. 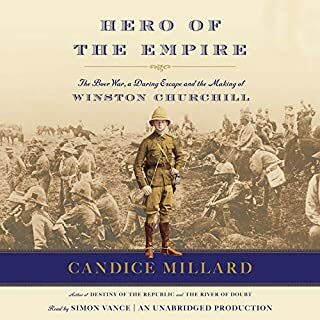 Candace Millard is a skilled story-teller, and her talent shines in Hero of the Empire, the saga of young Winston Churchill's escape from a Pretoria S.A. prison camp during the Boer War. This is well-trod ground, by numerous Churchill biographers and Churchill himself, so the ending is well-known and hardly suspenseful. Yet Millard manages to hold interest by salting her narrative with brief bits of biography about many of the key figures in the story, as well as much more information about the Boers themselves, all of which I found interpreting and helpful. The Boer War ended inconclusively, much like our wars in Vietnam, Iraq and Afghanistan. Is there much in the way of lessons to be learned from Britain's conflict? Not much that I can see, except -- a large exception -- the conclusion that warfare is much the last option, or at least should be. If a nation finds itself in full war mode, virtually nothing will go as expected other than the deaths and injuries to thousands of combatants on both sides. The Boer War stands out in history, if at all, for how little was changed or settled. Even WC, for about the only time in his long life, played a bit part in the conflict, and only because he managed to be captured. The book's narrator, Simon Vance, was superb, and managed a well-done Afrikaner-inflected British accent. I loved this book and in part because it offered me a respite from the tawdry noise of this year's interminable Presidential campaign. 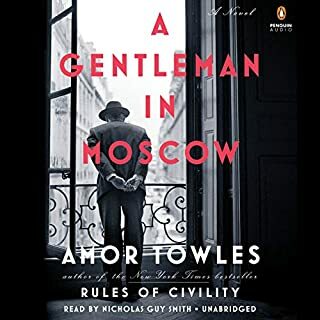 While some readers will criticize Amor Towles' characters as too good to be believable, I very much enjoyed the decency and humaneness displayed by major and minor players in the writer's endearing yarn. This elevating tone is embodied in the main character, Alexander Rostov, a Russian aristocrat sentenced in 1922 by the Bolsheviks to spend the remainder of his life inside Moscow's Metropole Hotel. From that unlikely stage, a diorama of inter-connected sub plots take flight, with Rostov always at the center as both participant and observer. The ugly political campaign is nearly over as I write this. However, A Gentleman in Moscow will reside in my memory for a long time. Don't bother. This novel is formulaic, predictable and boring, to boot. I was completely disappointed, mostly because I was looking for realistic mystery/espionage, such as novels by Alan Furst or LeCarre. The Lion is not even close. Not sure David McCullough needed to write this book, and certainly not narrate it. 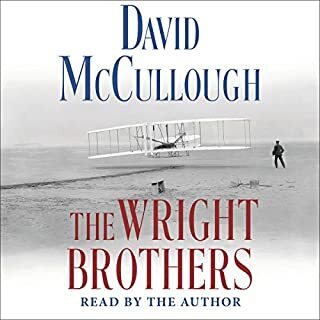 I have read other biographies of the Wright Brothers, but was curious about what McCullough could bring that as fresh or revealing. The answer: not much. McCullough is a superb story teller, and this book fits right in with his previous works. Yet there is nothing new here, and the entire experience of listening to McCullough read his writing passed by like a cloud in the summer sky. One other comment I'm loathe to make. McCullough's age has finally began to show in this reading, which includes numerous slurred words and hard to discern sentences. He is a national treasure for writing popular, accessible histories, and for being the familiar, comforting voice for dozens of television documentaries. I hope and pray he continues to write but leaves the reading to younger voices. 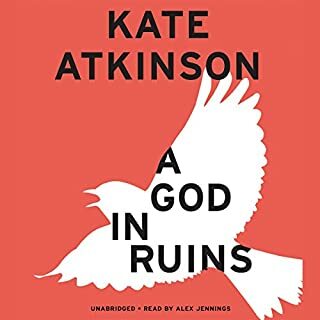 Kate Atkinson is a wonderfully inventive writer, as she demonstrated in "Life After Life," and now with its companion novel, "A God in Ruins." This is fiction at its best, hiding in a magnificent -- although at times boring and convoluted -- narrative. The core of the book is Teddy Todd, a WWII bomber pilot, whose entire life is laid out from birth to death in glimpses that follow no sequential rules. Teddy is a fully drawn character as are his time in history, his wife, children, siblings, parents, in-laws, lovers, fellow airmen, and assorted others. Sounds crowded and confusing, but isn't that each of our lives? Atkinson wants to paint on a large canvas by focusing on each and every brush stroke, and she amply rewards the patient reader with memorable images,scenes and bitter (or exhilarating) life lessons. The reader, Alex Jennings, is superb. All the female voices sound the same, however, at times bordering on the satirical as if they were being read by John Cleese. 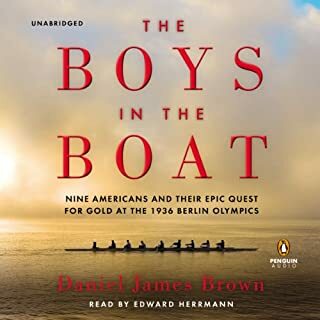 Until The Boys in the Boat appeared, I doubt that many people outside the sport of rowing, and the larger circle of residents of the Seattle area, knew much about this stirring saga. It's a tale well worth the telling. I listened to the Audible version, read by Edward Herrmann as well as any audiobook I've ever listened to, and made all the more poignant because Herrmann died not long after this recording was made. The book is well written, compelling, and broad in both scope and in fascinating characters. The epilogue is especially moving. Highly recommended to readers and listeners. Napoleon is one of those historical characters that people will never tire of reading about. Like Churchill, Lincoln and FDR, every facet of Napoleon's life has been extensively chronicled. This book is just the latest offering in what has become a veritable branch library of Napoleon biographies. Roberts covers a lot of ground, political, military and social, and overall, his narrative provides a good listen. 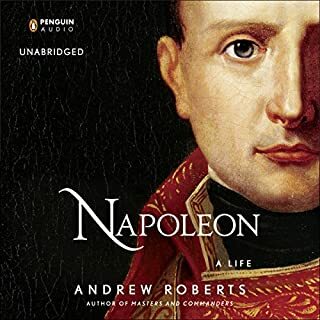 Yet I couldn't help feel rushed at times, hoping that Roberts would slow down to explain in a bit more detail some of the complications that were attendant to Napoleon's life and times. Two areas in particular seemed to pass by more quickly than I thought they deserved. One involved Napoleon's coup in 1799; Roberts described how it came about and who was involved, but the reasons why the coup was successful were treated less fully. The other area where I thought more explanation was needed was Napoleon's demise after Waterloo. Everyone knows he was banished to St. Helena, but Roberts failed, I think, to describe the reactions of French citizens to the end of Napoleon's second go-round. Still, and overall, a very well rendered biography.